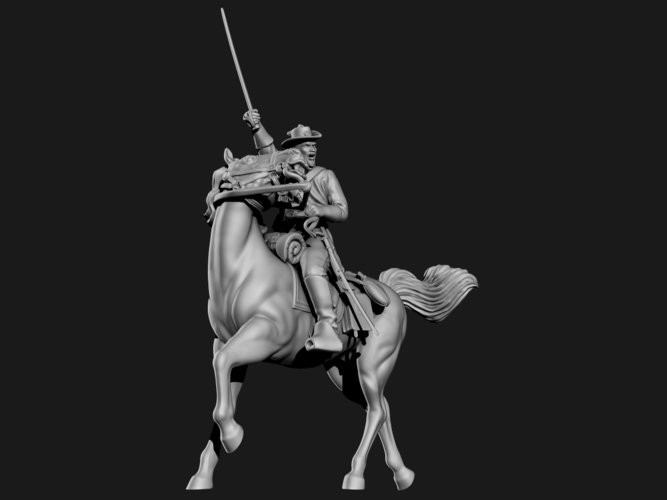 The character is inspired by Jacob Wilson Parrott (July 17, 1843–December 22, 1908) was the first recipient of the Medal of Honor, a new military award first presented by the United States Department of War to six Union Army soldiers who participated in the Great Locomotive Chase in 1862 during the American Civil War (1861–1865). 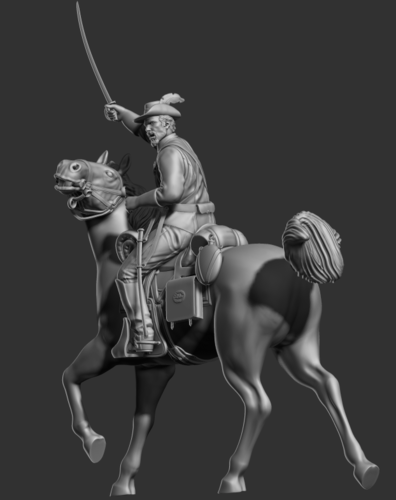 Particular attention to's uniform and harness and accessories horse. 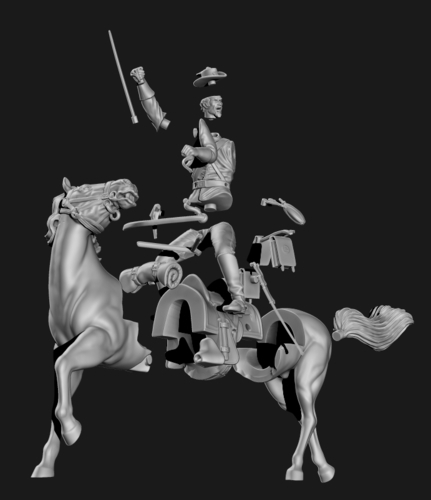 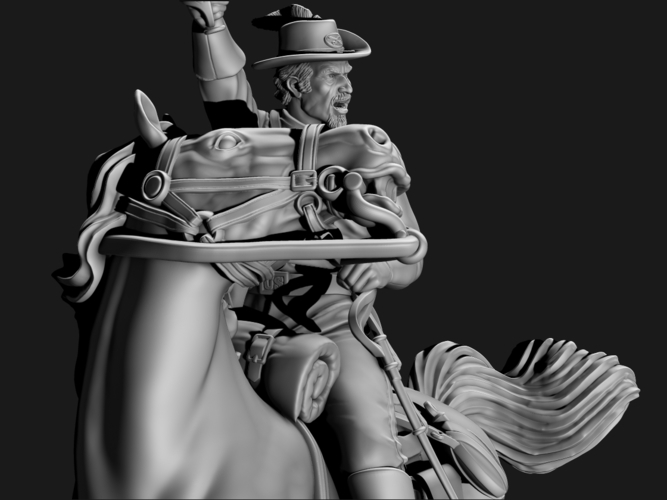 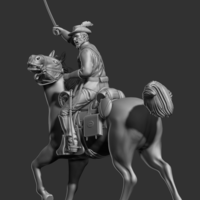 Model created with ZBrush except the sword and scabbard made of rhino; furthermore the model is empty to consume little resin.